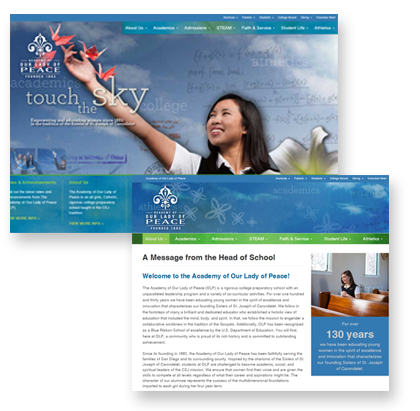 Academy of Our Lady of Peace Catholic High School web redesign. Design provided by MJE Marketing and implemented by Events Online. This WordPress site features several cool little apps including a faculty / staff listing and Password Protected Alumnae Directory.